My family and I travelled to New Zealand over Christmas 2012/13 and stayed at the Wyndham Wanaka Resort. As per usual the service received from the Wyndham staff on arrival was first class. We received a personal tour of the resort and room by a staff member. Nothing seems to be too much trouble at Wyndham. 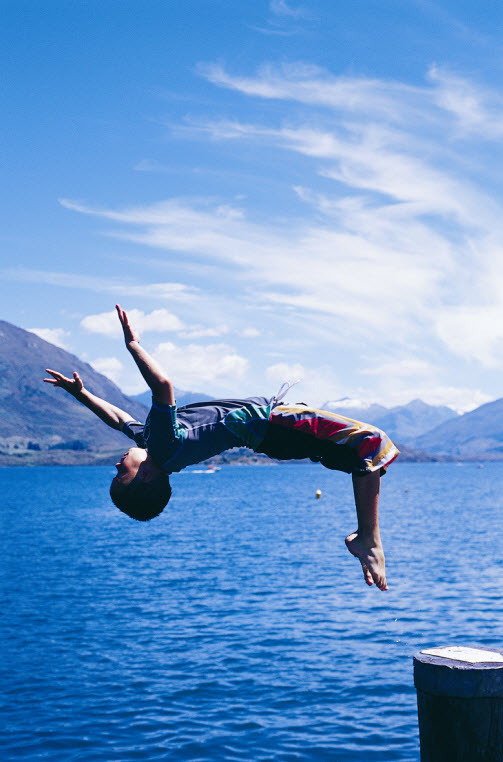 Wanaka in summer is spectacular and offers plenty of activities to keep the whole family happy. Being right on the lake, Wanaka offers plenty of exciting water activities, although the water is a bit chilly. My family went to Puzzling World, which is a great fun day for the whole family, horse riding, quad bike riding, hiking and a magnificent scenic flight where you fly the plane yourself. If this is within your budget this will be a highlight of your holiday, as it was ours. If you are looking to relax on your holiday, this is possible with Wyndham in Wanaka. The resort offers plenty of activities to keep the kids entertained, while the parents relax.The water slide in the pool was a hit with our kids. Queenstown is a very scenic hour drive from Wanaka and allows you to take in the sites and activities in Queenstown with a day trip and then return to the tranquility of Wanaka, after a big day. Queenstown is fabulous to visit, but it is an extremely full on and demanding town. We were happy to leave the hustle and bustle behind after a great day. We actually did several day trips to Queenstown and this was perfect. Wyndham Wanaka in New Zealand was the best holiday we have ever had and highly recommend it to all the Wyndham Owners.